Winter proofing your garage flooring may not be on the top of your mind, but it certainly will go a long way towards maintaining the look and safety of your garage. Winter snow and ice are easily tracked into garages by people and cars, leading to damaged concrete and dangerous slippery patches. Fortunately, there are a few easy and affordable ways to winterize your garage flooring and prevent any future damage. It is not too late to protect your flooring from winter weather this year, so try a few of these easy ideas. Before trying any winterization tactics, be sure to give your garage floor a good scrubbing. Thoroughly clean the concrete, removing any contaminants that may have been spilled or left on the floor. After cleaning is a great time to make any repairs to your garage flooring that can not wait until spring. Floor mats are by far the easiest and quickest way to protect your garage flooring. Also known as floor contaminant mats, these mats are made to lay on the floor of your garage and collect any snow, ice, road salts, snow melt, or other deicing solutions that may be tracked in via your car or boots. Floor mats are easy to install. Simply lay down the mat over problem areas – places like where you park your cars or right in front of your garage door. The mats will absorb any water and collect any leftover debris, and are super simple to clean. Once winter is over, the mats can be conveniently rolled up and stored. There are many different types of floor mats available depending on your needs. Some are built for rainier climates, while others are great at absorbing snow melt and other deicing chemicals, perfect for snowier areas. If you are looking to cover the entire floor of your garage, check out the wide variety of roll out floor mats available. These are great at protecting your entire space, and do a great job of keeping your feet warm too. Most floor mats can be wet and dry vacuumed, so cleanup is a breeze. Also, if you are noticing that ice, snow, and deicers are damaging your garage floor but do not have time to purchase floor mats right away, try using cardboard boxes. They certainly will not look as nice as floor mats, but they absorb harmful substances almost as good. Simply lay the boxes out over problem areas, likely where you park your car, and pull your car right on top of the laid out boxes. Boxes, however, will not last like floor mats do, so you will likely need to replace them frequently. They are a cheap solution for a quick fix to the problem, and most grocery stores would be happy to pass on a few boxes to those in need. Another worthwhile winterization strategy is to seal your floor. Sealing solutions prevent water, snow melt, and salt from entering the pores of your concrete floor. Siliconate penetrating sealers are the easiest to use, and can even be applied by the most novice of homeowners. If you are looking to add a shiny look to your garage flooring, try an acrylic sealer. Other great sealing options are coatings, such as epoxy, that are tough enough to prevent any snowmelt or deicing products from doing damage to your floor. Epoxy coatings, despite their toughness, can not be installed in temperatures colder than 50 degrees to work effectively, so it is best to be applied during warmer months in preparation for winter. That said, a polyurea or polyaspartic coating will work just as effectively, and can installed in below freezing temperatures. Is Your Garage Door Sealed? People often notice water and snow seeping through the crack between their garage flooring and their garage door. 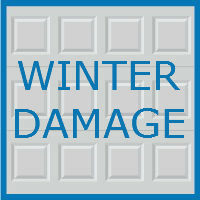 To ensure all of the wintertime elements stay out, make sure that your garage floor door seal is in good condition. If it is not, it could easily be letting water and snow slowly enter your garage. There are many other simple ideas to combat snow, ice, and deicing products from harming your garage floor. Try using a broom or squeegee to get any fallen snow and ice off of your garage floor. This is best if done immediately after parking, so the water and ice melt does not have time to do any damage. Also, pulling up outside of your garage and knocking any snow and ice off your car may be a good idea as well. It can not harm your flooring if it never makes it inside. Other homeowners have installed blower fans to help dry out their garages. If you live in a particularly moist climate, this may be something to consider. Winter can be hard enough to deal with on it’s own. Do not let pesky snow, ice, and ice melting products damage your garage floor. Fixing your flooring is expensive and headache inducing, so a little preparation ahead of time can go a long way. 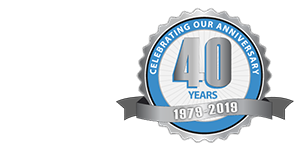 At Blue Sky Builders, our team of garage experts is always excited to help with any garage related project. Be sure to follow our Sky Writers Garage blog to stay up to date on the season’s newest, coolest, and most handy garage ideas. Call 630-852-8485, visit Blue Sky Builders online, or stop in to chat with us about your next garage related project. Our experts are here to help.